Top Gear host Chris Harris and a Top Gear magazine executive were uninjured after the Porsche 911 GT3 Touring they were in crashed into the side of a pickup truck that was reportedly attempting a three-point turn in the road. Harris was driving in Wales today for a feature in Top Gear magazine, according to the BBC. He and his passenger were reported uninjured, as was the driver of the pickup truck. We reached out to Harris and he confirmed he’s OK, though it’s been “Not my favorite day.” Understandably, but we are glad he’s unhurt. Police were called and reportedly determined that speed was not a factor in the crash, a source familiar with the incident told Jalopnik, and the truck driver was issued penalty points. An eyewitness claims the pickup was attempting a three-point turn when the Porsche hit the side of it, where it was “embedded” between “the front and back wheels,” the BBC reports. 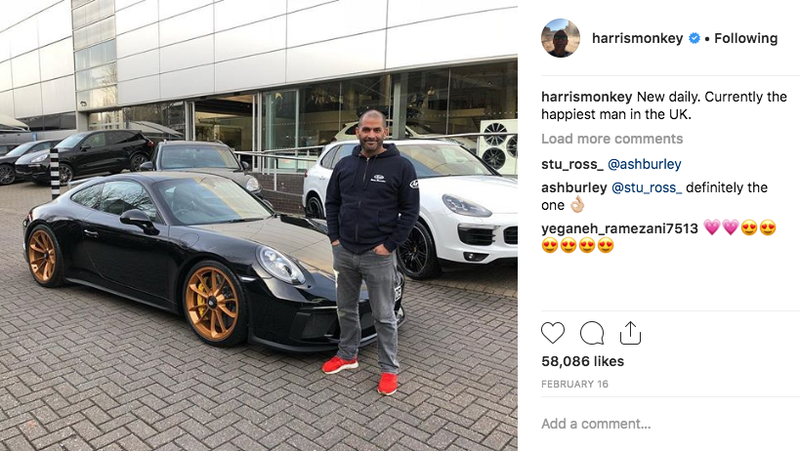 The damaged black GT3 Touring with gold wheels in the photo posted by the BBC appears to be the same car owned by Chris Harris, which has popped up on his Instagram feed repeatedly. From the photo, the street looks narrow and the crashed cars are positioned in what appears to be a curve in the road. Earlier this year, Chris Harris and Top Gear co-host Eddie Jordan were driving a new Alpine A110 when it caught fire, with managing managing to escape uninjured thanks to the fireproof suits they were wearing.